iPhone 3Gs - Isn't it just beautiful?!? 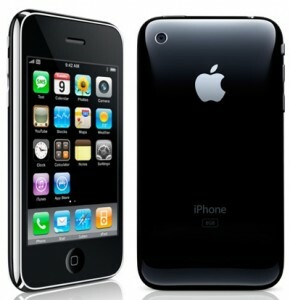 I finally got the iPhone 3Gs – 32GB Black. I woke early and got in line around 6am. I thought it was going to take longer then it actually took, it was a good thing we reserved it beforehand. We were in and out by 8:15am. There was a little problem with the transfer to AT&T so I had to go back and fix it with the apple store. I went to the one in the Falls, and I have to say the service and the people were a joy to be around. Everyone was very friendly and willing to help. (Some might think, well of course, you’re buying an iPhone. Well this is not the case at all Apple Stores).